The Social Network currently leads the Ladbrokes Oscars best picture betting at 4/6 and will be extremely hard to beat. 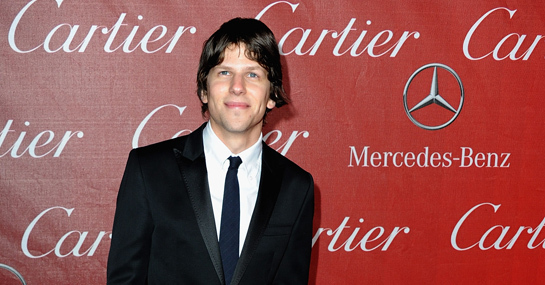 Adapted for the screen by West Wing writer, Aaron Sorkin, and directed by Fight club director, David Fincher, it features a brilliant central performance from Jesse Eisenberg, who is second favourite in the Oscars betting for the best actor Oscar at 8/1. However, it looks like either Eisenberg or The Social Network will miss out in the Oscars betting if the past decade is anything to go by. The last time a film won best picture and its lead actor won the best actor gong was way back in 2000 when Russell Crowe won for his role as Maximus Decimus Meridius in best picture winner, Gladiator. With Colin Firth such a massive favourite in the Oscars betting odds at 1/9, Eisenberg – who would be the youngest ever winner of the best actor gong – looks likely to be the one to miss out. Backing The Social Network to win best picture looks to be well worth a bet in the Oscars betting – especially if you take advantage of a free bet worth £25. If you fancy your Oscars betting odds a little longer though, The King’s Speech cannot be ruled out. It is currently 10/3 in the Ladbrokes Oscars betting odds and could be well worth a bet at such long Oscars betting odds. A £25 bet on Black Swan to win best picture could see a return of £875! New Ladbrokes customers can sign up here for a free £25 bet.